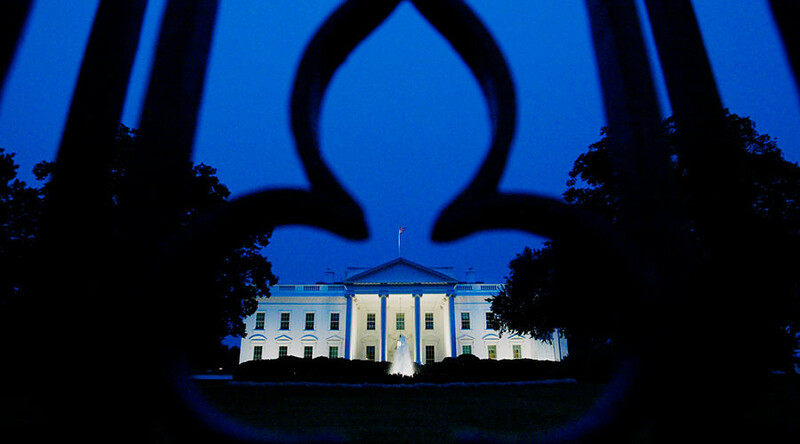 Strange red strobe lights have been spotted flashing inside the White House, sparking curiosity among witnesses and social media users, who rushed to offer dozens of possible theories of what might be happening inside the executive branch residence. Flashing red lights illuminated the second floor of the White House Sunday evening for about 20 minutes before the strange scene ended. The mysterious flashing inside Donald Trump’s residence was captured by livestream webcams and immediately drew attention of hundreds online. @Breaking911 If it's red it's gotta be the Russians! While no official statement from the US Secret Service or the White House has yet been offered as to what the strange phenomenon was, commenters on social media offered their own theories. Some said that these were “nightclub” lights, suggesting that Trump had a party. What is the source of the red lights coming from the White House? Others joked that Trump was having a secret conversation with the Kremlin. https://t.co/8JwgGM7WEE "CNN Breaking News: Strange Red lights coming from white House. Is Trump Team trying to communicate with Russia?" Additional social media users suggested that “it” has escaped the White House, posting a GIF of Trump-lookalike devil spirit.